For nearly 50 minutes, anyone tuning in to Jay Leno’s latest last episode of The Tonight Show in search of insight would have been sorely disappointed. Those in search of laughs, doubly so. Through an extended standing ovation that was greeted as warmly as a viral outbreak and a few halfhearted jabs at the network escorting him, yet again, to the door (“I don’t like good-byes. NBC does!”), Leno kept things businesslike and brisk. The monologue, as long and lumpy as ever, was larded with wrinkly gags about the Internet, the truculence of Congress, and the travails of Justin Bieber. Almost nothing about this felt momentous or even vaguely meaningful. If Leno had swapped out Bieber for Charlie Sheen or Lindsay Lohan or Hugh Grant, it could have been any night in the last 22 years. In fact there was a Hugh Grant joke, just before the gag about British people having bad teeth. There was some light banter and Crystal did some creaky shtick involving Muhammad Ali and Vito Corleone. Then, with the clock ticking, Crystal unveiled his special surprise: a 40-year-old executive planner in which he had written the contact info of the guy who had offered him a place to crash in Boston. “Jay Lenno,” it said, spelled incorrectly, followed by a number. “That was my phone number!” Jay exclaimed, as if it were a surprise even to him there had been a time when he wasn’t doing exactly this. Later, Leno brought out Garth Brooks, the country legend who hasn’t released an album in 13 years and dressed like it. His face obscured beneath a black “Garth Brooks World Tour” baseball cap, Brooks praised Leno as “the dearest friend to entertainment” who “never chose a network over another” which seems like an awfully low bar for entertainment friendship, but what do I know. Between the guests there was a performance number set to “So Long, Farewell” from The Sound of Music that featured a random assortment of celebrities singing more about themselves than the host: Carol Burnett yelled like Tarzan, Chris Paul big-upped the first-place Clippers, Oprah offered to buy everybody a car. What had begun as another day in the office devolved into a hastily assembled retirement party in the break room. In lieu of cake, there was a Kardashian. This was the sum total of 22 years? It was like saying good-bye to someone you’d worked next to for decades only to realize, at the final moment, you didn’t really know them at all. I don’t think this lack of emotion was denial so much as it was DNA. Jay Leno has always prided himself on being a working comedian with a particular emphasis placed on the first word over the second. Throughout his many, many decades in the public eye, Leno has never dazzled with his slashing wit or impressed with his honesty. He has simply worked and endured, traits that are generally celebrated in every field except the one he chose. Under his smooth, uninspiring stewardship, The Tonight Show served its purpose as Hollywood’s bubble bath, a warm and safe space where celebrities of all stripes could win merely by showing up. Shilling was so paramount that even Crystal, on a night supposedly devoted to his old pal, couldn’t help but hold up his recent memoir. The laundry list of famous faces that made appearances in the occasionally funny “What Will Jay Do Next?” video — everyone from Olivia Wilde and Miley Cyrus to Barack Obama and a terrifyingly turtleish Dana Carvey — spoke not to any personal relationships with Leno but to an enduring belief in show business, in the importance of putting a smiley face on an industry increasingly known for the sharpness of its fangs and the phoniness of its fronts. The sight of it made me more glad than ever that Jimmy Fallon — whom Leno lauded multiple times throughout the night — is moving the show back to New York. Not because of the supposed edge it might bring (Fallon is about as edgy as a Frisbee), but for the same reason it’s a good idea to move apartments after someone dies in the old one. At the end of the show, though, the façade finally dropped. “Boy, this is the hard part,” Leno said, cupping his prodigious chin and rubbing his aging eyes. The moment he had been avoiding for two decades had finally arrived. It was just the man and the desk; no guests, no gags, no dopey headlines. It was precisely the sort of pure, unscripted scenario that Leno detests and his lifelong frenemy, David Letterman, prefers. And what emerged was surprisingly moving and, it seemed to me, honest. Choking back tears, Leno ticked off the loved ones who had died during his tenure at Tonight: First his mother, then his father, followed a few years later by his brother. “After that, I was pretty much out of family,” he said. “The folks here became my family.” (Leno and Mavis, his wife of 33 years, have no children.) Suddenly Jay Leno had given us the proper context in which to appreciate him. His goal was never greatness. It was stability. 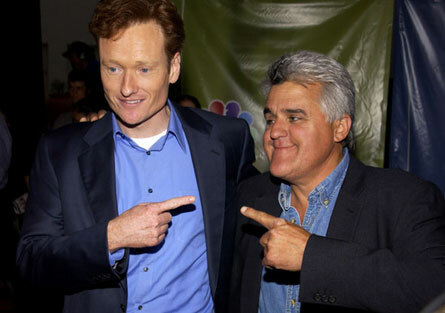 “I’m the luckiest guy in the world,” Leno said with what felt like genuine humility. “I got to meet presidents and astronauts and movie stars.” Later he added, “I’m proud to say this is a union show,” and that the crew had always been paid a good wage to do good work. The implication was that so had he. Critics, myself included, have long lambasted Leno for merely punching the clock when so many others were willing to take swings at harder targets. But what if that was the point all along? At the end — as much as there can be an end for a guy who has no life, only work; I don’t think he’ll be back on Tonight, but he’ll be back — the man standing onstage wasn’t Jay Leno, the bad interviewer, or Jay Leno, the Machiavellian company man who outfoxed Letterman and hugged Conan O’Brien so tightly he died. This, at last, was “Jay Lenno,” the working-class striver. The kid with the big hair and the funny voice, the guy who lived in Boston when every other comic lived in New York. This was the multimillionaire who happily gave his final moments of airtime over to Garth Brooks, and turned his last words into a plug for his successor. After the lights were dimmed in Burbank, he hopped a plane to Florida to do a stand-up gig. Jay Leno was never cool. He was never great. He was always popular, but he was never loved. For 22 years, Jay Leno simply was. Which, I think, was probably more than enough for him.